Being located on Lake Superior, the Munising area boasts several lighthouses that have helped sailors, for decades, navigate the tricky shoreline. The days of lighthouse keepers are long gone but the history still remains. 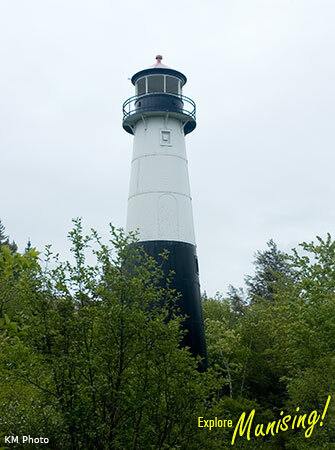 Take a moment to read about the unique lighthouses in the area. A few offer summer tours so you can get an upclose view and learn about the history of the lighthouses. 1.7 mile hike – Shipwrecks, sandstone, sunsets and a Superior Lighthouse. Watch the sunset from the top of the Lighthouse. Lantern walk under the stars back to the parking area. Meet at Christmas Range Light parking area, just East of Christmas Village. This privately owned lighthouse sits on the southeast shore of Grand Island. 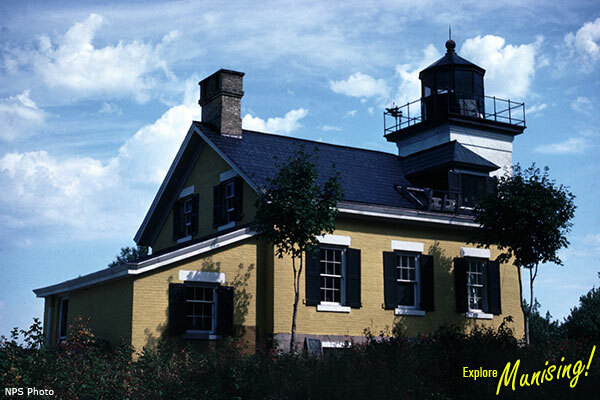 The East Channel Lighthouse started operation in 1867 and warned incoming vessels of the narrow passage into Munising Bay. This lighthouse is one of the most photographed lighthouses on the Great Lakes as two local boat tour companies navigate pass it. There is no public access to the lighthouse. Constructed in 1856, this lighthouse stands atop a 175 foot cliff on Grand Island’s north shore. 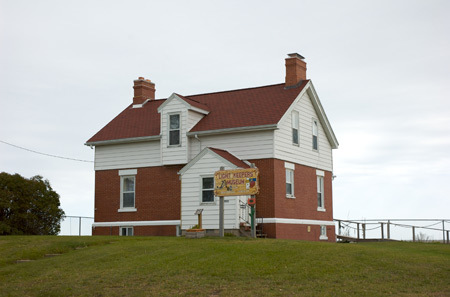 The lighthouse is no longer operational and is privately owned. The only way to view this beautiful structure is by air or water. There is no public access to the lighthouse. 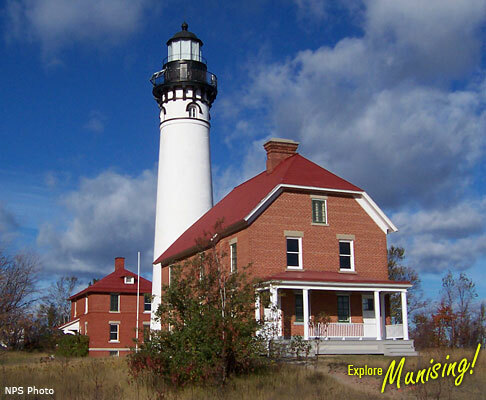 Built in 1874, the Au Sable Light Station is located 12 miles west of Grand Marais, Mich. A fog signal building was constructed 1897. The light is now automated and guided tours run from June-August. 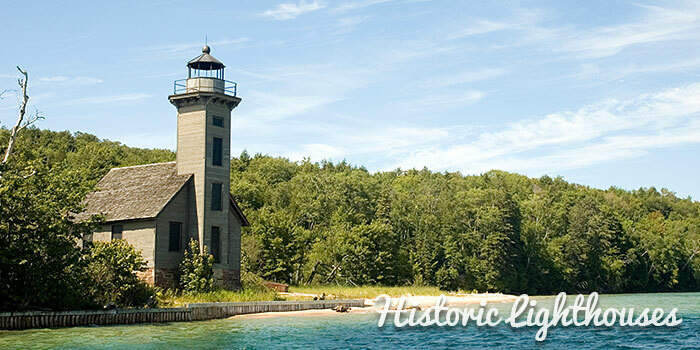 The AuSable Lighthouse is open for tours Wednesday – Sunday from 11am – 5pm. $3 charge per person. While most shipwreck remains can only be seen by scuba diving, there are two shipwrecks that can be seen on the beach while walking to the lighthouse – the Mary Jarecki and Gale Staples. At times the Sitka can also be seen near the Gale Staples but it depends on sand movement along the shore. Drive 12 miles west of Grand Marais to the Hurricane River Campground then 1.5 miles (walk) east. 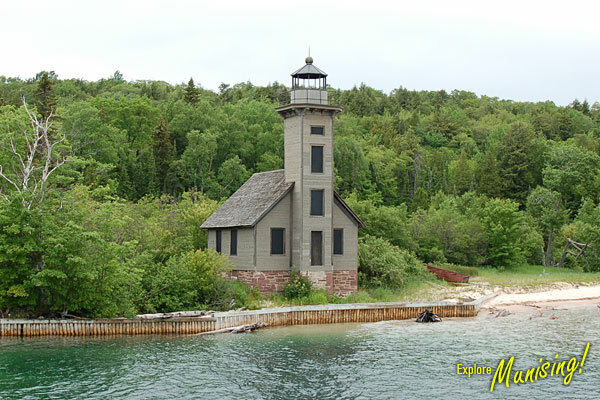 Constructed in 1907, this front and rear range lights still operates and assist ships entering the east channel of Munising Bay. The rear range light is located two blocks south at the end of Hickory Street. The Christmas Range Lights consists of front and rear lights once used to guide ships into the shipping channel. The rear light was abandoned in 1969 and is now overseen by the U.S. Forest Service. M-28 west, between Munising and Christmas near the “Welcome to Christmas” sign. 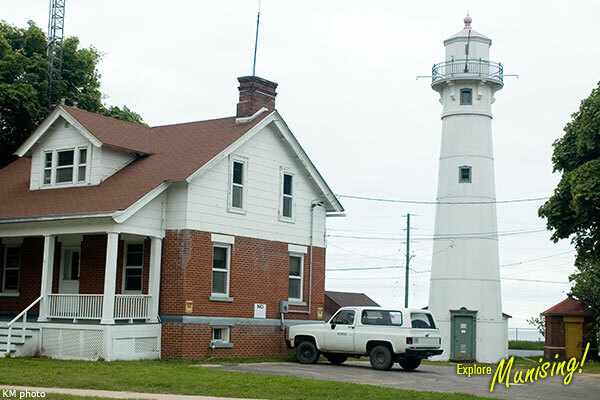 The Lightkeepers House Museum was constructed in 1908 by the U.S. Life Saving Service as the Lightkeeper’s dwelling. 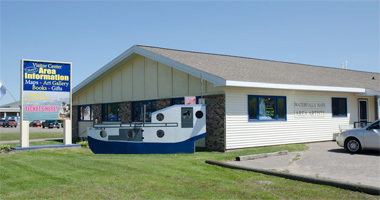 The station closed in 1981 and in 1984 the U.S. Coast Guard transferred the property to the Pictured Rocks National Lakeshore. The Grand Marais Historical Society now leases the building and operates a museum containing items that were in use at the turn of the century. Open seasonally during the summer months.